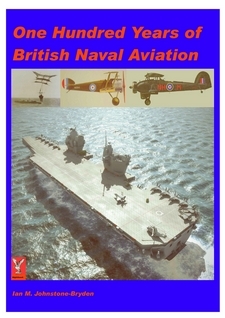 The author has traced the full history of British naval aviation from the writings of Admiral Thomas Cockrane more than two hundred years ago, through the use of balloons and then towed kites to the first aeroplanes and airships, on through the triumphs of World War II and into the Cold War, then through the Energy Wars and on into the future with new large carriers due to build and the increasing use of UAVs. The author has traced the full history of British naval aviation from the writings of Admiral Thomas Cockrane more than two hundred years ago, through the use of balloons and then towed kites to the first aeroplanes and airships, on through the triumphs of World War II and into the Cold War, then through the Energy Wars and on into the future with new large carriers due to build and the increasing use of UAVs. This is not the book for those seeking a politically correct history of the Fleet Air Arm, but it is an accurate account of the extraordinary story of innovation and great courage played against the neglect and failures of politicians keen to save money. By adopting the electronic format, the publisher has been able to produce a heavily illustrated book with concise but comprehensive text at a very low price. The standard on-line offering is a nine part book that is delivered by email. It was necessary to break the work into nine PDF files to avoid any file size exceeding 5MB which is still a magic limit for email attachments on many mail servers. This reviewer requested and received a single file of just under 20MB and although this option is not shown in the publisher’s online bookshop, the reviewer understands that is available on request. Readers who have broadband Internet connection may prefer a single large file, but the author has done a very good job in presenting each chapter as a stand alone document that works as an individual part. The advantage of a single large file is that PDF readers have search engines able to scan the entire book for specific words or phrases and this is far superior to the traditional methods in printed paper books of having to refer back and forth to the index. The author and publisher have certainly prepared this book for reading on a computer screen rather than just taking a typescript of a printed book and copying that into an electronic format. Although a reader will wish to zoom in and out to take full advantage of the many excellent images that illustrate the text the book reads very well when displayed as two pages at a time. For those who need a large displayed size, the images and text have been arranged to provide the easiest way of navigating in large format. As part of the review, the book was read on three different computers. Many readers will use Microsoft Personal Computer systems with the Adobe Reader software and the first review was done using a PC running Windows XP and Adobe 9. The book was then read on a Linux workstation running Ubuntu and finally read on an Apple Mac. The book displayed well on all three machines. It also printed without any difficulty with all the machines. Many eBook readers find that any work that is a manual or a history is best read electronically because of the very easy method of locating specific items of information but usually print at least part of the eBook on a laser printer or bubblejet. For the purposes of this review, the reviewer printed pages single sided on datacopy paper, inserting the pages back to back in transparent pockets in a ring binder. The publisher licenses the reader to keep a copy on a computer, make a CD backup, and print any or all pages for personal use. Using a colour bubblejet datacopy paper and a ring binder with clear pockets produces an A4 record of good quality at very low cost. Many readers are coming to see this as a superior method of acquiring books because the binder and pockets can be used many times or the book can become a very durable document that can be read easily for many years any any damaged pages can be reprinted at any time in the future. The author is to be commended both for the quality of his research and for the presentation with many images, some not seen before by the public. This is a book that no serious naval or aviation enthusiast will want to be without. It will also appeal to a very wide readership internationally. Although it reviews British naval aviation from a British perspective, the author has reflected the debt owed by the FAA to American aircraft manufacturers and the way in which US and British naval aviators have assisted each other in developing their abilities. British surplus aircraft carriers have provided many other nations with their entry into naval aviation and many British inventions form an essential part of every navy’s carrier equipment.